I made these last night, and they are absolutely amazing!!! Thank you! It's my favorite breakfast! I use 1/4 C. for steel cut and 1/2 C. for roll oats, as per the serving size listed on the package, and I use diluted coconut milk. Yummy! 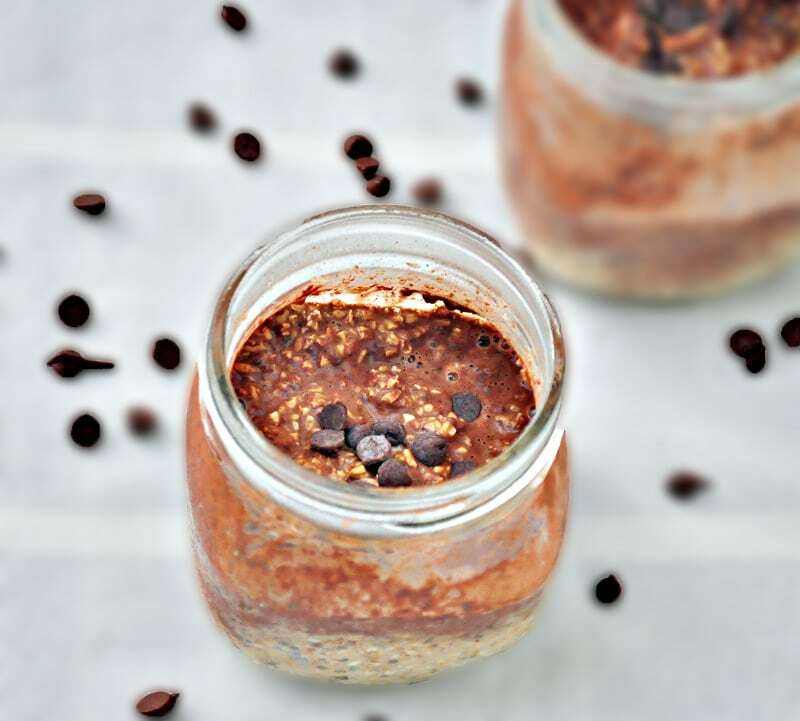 I have only tried these overnight oats and I must say they are delicious. I am new to whole foods and I love this for breakfast. I use raw honey instead of the date which I like better. Thank you for all of your awesome recipes! You're welcome Olivia! So glad you liked them! This is my favorite flavor. I've made this three times already. 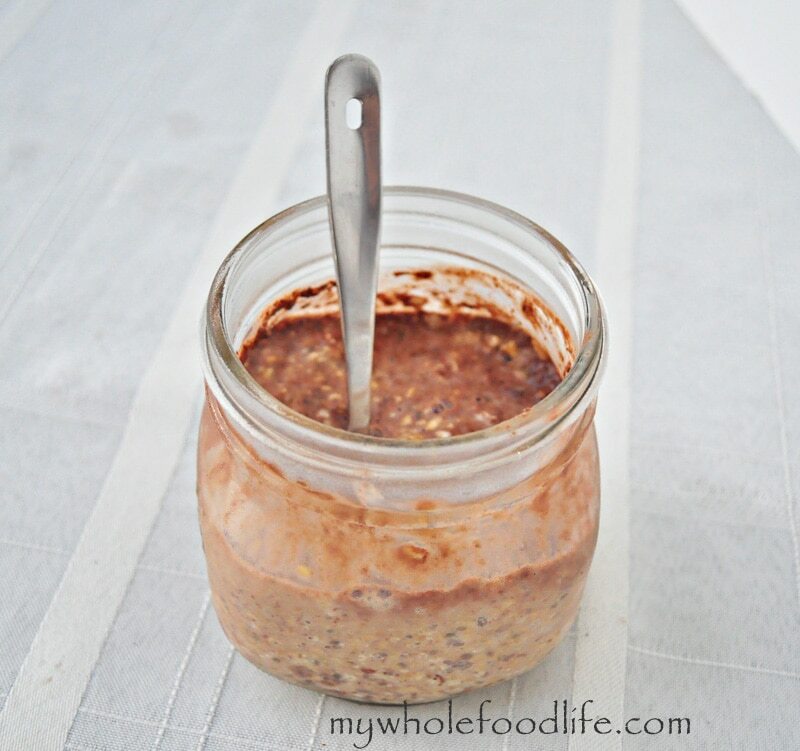 Delicious and a great idea for when I haven't made a batch of oatmeal ahead of time. I've used cashew butter (left over from the pumpkin chocolate chip cookie recipe!) and peanut butter. It is easily warmed in the microwave. Yum! Thanks for the great recipe! these came out great!! eating them now and love them! any idea of the calories ;'-)? Thanks! No idea, but I bet you could plug the recipe into My Fitness Pal and get a rough estimate. Any suggestions for those on a grain-free diet? What would you sub for the oats? thanks. I'm tired of eating wholemeal bread. I'm so happy to find such healthy alternative for breakfast. Do you need to bake the oat first? Can you use oat groats just as well for this? I just ate this for breakfast and it was delicious! I added sliced strawberries and some chopped nuts. Now I'm off to cross-country ski! Can anything be substituted for the flax meal? I don't have that in my pantry. Awesome! I added a tsp of brewers yeast as well. It's great for the milk supply of nursing mothers!! if im eating this after a, 70-80 min long swim practice is it recommended i use 1/2 or 1/4 a cup of steel cut oats? ?